If there is one thing that unites us, it’s that parenting is really hard sometimes; the sleepless nights, the dirty diapers, the unexplained cries, and the constant worry. However, if you’re a celebrity things are a little easier if you can afford a fancy nanny of course! Here are some of our favorite quotes from Hollywood’s celeb moms. Drew Barrymore’s favorite thing about being a mom is how to makes her a better person every day! Even just the simple act of trying to make her daughter smile puts her in a good mood and is a better way to live. Alicia feels that being a mother has made her a better person in all aspects, from increasing her creativity to making her happier, more connected and open. If that’s not a perfect advertisement for motherhood, we don’t know what is! Sheryl Crow adopted two sons, Wyatt and Levi, and as such, has a really unique take on motherhood. She believes that little souls come to you regardless of whether they come via your own womb or someone else’s. She knows that her two boys are definitely all hers because of that. Another woman who believes that becoming a mother has made her a better person and more accepting of herself is Britney Spears. She went through a really rough few years, so it’s great to hear that her boys have helped her so much. Olivia feels that the best gift of motherhood is the freeing selflessness that comes along with it. We agree – when you have children, you put them before anything and anyone else. Tina Fey sums it up when she explains that being a mom has made her so tired, but also so happy. They are the two words that perfectly describe this rollercoaster that is motherhood. Author Margaret works hard to write characters that she would be happy for her daughters to read. Because of this, she includes a lot of strong, smart, and powerful girls in her work to inspire and empower other girls in the world, including her own children. 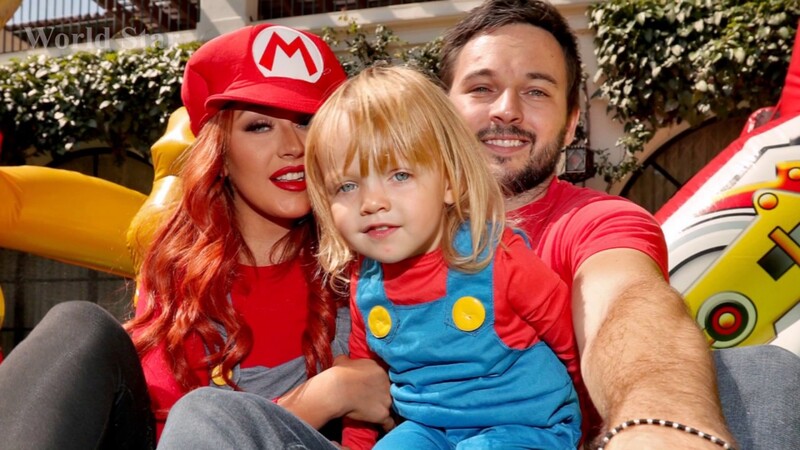 A far cry from her once-dirrty pop star persona, Christina Aguilera as a mom is all about making her children smile. When they are happy, she is happy. It’s a relief to know that parenting is the great equalizer and even celebrities feel the same as we do – but with less red carpet events of course! However, as glamorous as Beyonce’s life seems from the outside, we’re sure she ends up with baby sick on her outfit when she leaves the house too! One thing that Nicole Kidman says she really struggles with is the balance between protecting her children from pain, and letting adversity give them character and build a backbone. Like most mothers, she finds it hard to back off and allow hard things to happen to her children.